New blog: what role for mergers in federated charities? Mergers in the charity sector are rare and often misunderstood, which is why the work being done to illuminate the subject is so valuable. The Good Merger Index, which we at Eastside Primetimers launched in January, was warmly received and I look forward to NPC’s report next week — which builds on it and looks at different applications for merger in a range of contexts. One area we have explored recently is how federated charities — national charities with registered, independent local branches such as Mind, Age UK or YMCA — can use charity mergers to become resilient for the future. At its best this model addresses the dichotomy charities often agonise over between localism and scale, balancing community responsiveness and innovation with the strength of a national brand and its infrastructure. However, in practice some federations are under strain. Managing scale, coordination and the maintenance of standards across hundreds of small, independent-minded branches can be difficult. Meanwhile, central initiatives to address issues or promote consistency can be perceived by branches as intrusion. Issues like this have led some federations to explore merger, with a variety of models being adopted. At one end of the spectrum, charities have streamlined through “centralisation”. As NPC noted, crime charity Victim Support merged 90 branches into the national charity to address concerns about ‘postcode lottery’ provision. More recently we have seen this done by Brook, the sexual health charity, which consolidated 16 independent regions into the centre. Another option is for branches to merge together to create strengthened localities or even regional hubs, as seen with the creation of the YMCA St Paul’s Group—which combined four YMCAs across Greater London. This merger is enabling cost efficiencies and a strategic approach to community services for the young and vulnerable. Group chief executive Richard James has even reported it had created ‘ripples’, with other YMCAs seeking guidance from him about the approach. Consolidations like this represented 13% of all charity mergers in 2016/17. Federation branches have even taken over charities outside their brand to bolster services. Salford Mind consolidated with Salford Mental Health Services CAB, while Age UK Hampshire took on a day care centre trust and Croydon Mencap incorporated a special needs pre-school. Branches that have grown distant from their parent federations have left altogether, such as Evolve Housing + Support (formerly YMCA South London) which disaffiliated and has subsequently grown through taking over Grenfell Housing and Training in 2017. Crossroads Mid and West Wales disaffiliated from their parent charity and joined Welsh mental health charity Hafal, and Age Concern Poole was saved from closure by a timely takeover from Dorset Prama. We have seen more and more federations join forces in recent years, and we predict this will continue as both national and local bodies review their sustainability. Mind are reviewing sustainability within their local networks, and I am aware of other federations doing similar. 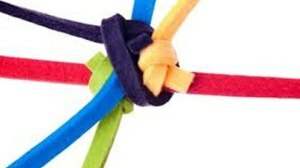 I have described a range of approaches in this blog to demonstrate that there is not ‘one size fits all’ for those seeking change, and, on the contrary, opportunities exist for federations to find an option which best meets their circumstances. This means that while more consolidation is likely, its form will vary widely. If federations are jigsaw pieces, in 2018 they are being thrown in the air. Where they land is anyone’s guess.